Almost everyone has experienced a moment when a certain scent – a freshly baked apple pie or the perfume worn by a favorite aunt – revives a memory and transports us to another place and time. The unique fragrances of many plants remain in our memory for a lifetime too. 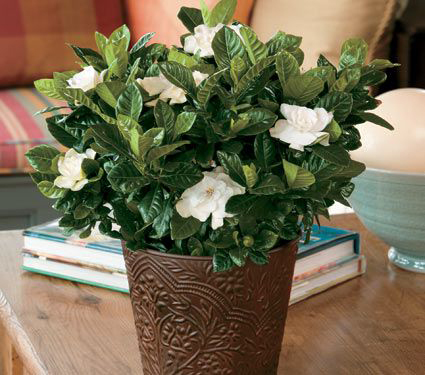 Gardenias were very popular during the World War II era. A sweetly scented Gardenia corsage was considered the ultimate romantic gift and as a result, many war veterans still order the plants for their wives. Those vintage corsages may be passé now, but the Gardenia’s perfume and full-petaled white blooms are welcome outdoors in warmer climate gardens, and inside during the winter months. 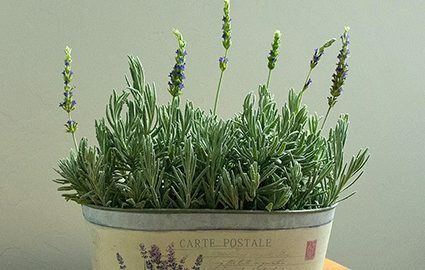 For centuries, the evocative scent of Lavender has been used to perfume the home, refresh the body, and rejuvenate the spirit. The herb is still a popular indoor favorite today – few people can resist touching the leaves or blossoms to release their soothing aroma. The flowers are easily dried for use in potpourri or sachets, preserving the scent for months. 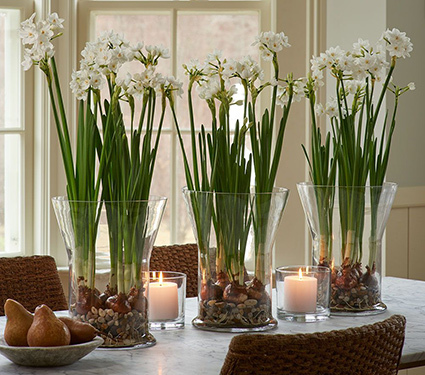 The heady scent of Paperwhites can rekindle a variety of childhood memories. For many growing these bulbs in nothing more than water and stones was their first successful gardening project. In 2017, they remain a popular choice for forcing indoors as decoration and gifts – particularly during the holiday season. Gardeners of all ages still find them extremely easy to care for and fun to watch grow. 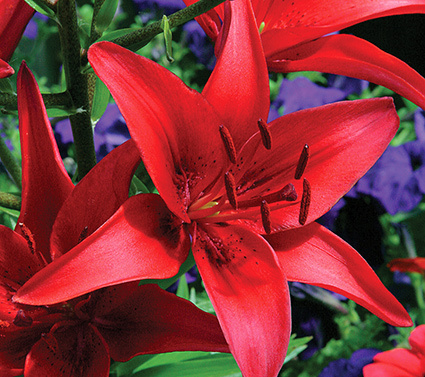 Lilies grow form bulbs that are easy to plant and offer big rewards for your garden. Lilies add height, distinctive flower shapes, and sometimes perfume, to summer gardens. 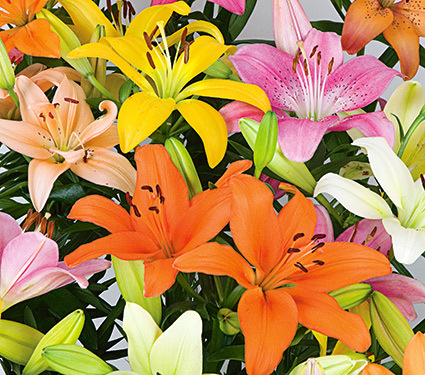 The season begins with the colorful Asiatic varieties, continues with the delightfully fragrant Orientals, and then the hybrid Orienpets, which combines the best traits of Oriental Lilies and statuesque Trumpet Lilies. 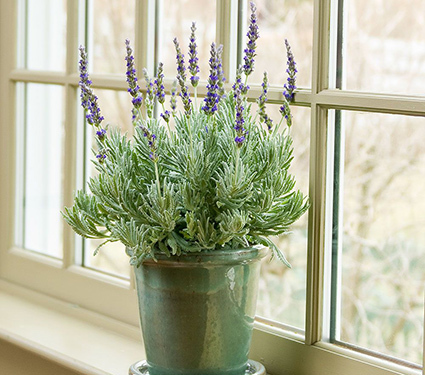 To enjoy a long season of blooms, we recommend including some of each type. 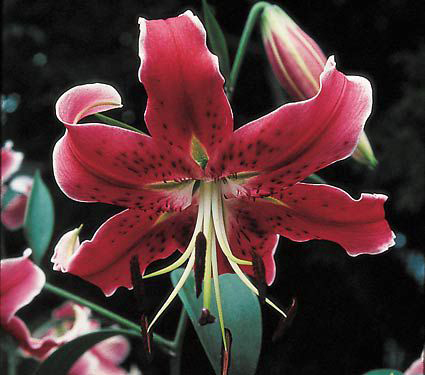 Lilies produce their intriguing turk’s-cap or trumpet-shaped flowers on stems that can be graceful and arching, or sturdily upright and an inch thick. Plant heights range from 2 to 6ft or so, depending on the variety. 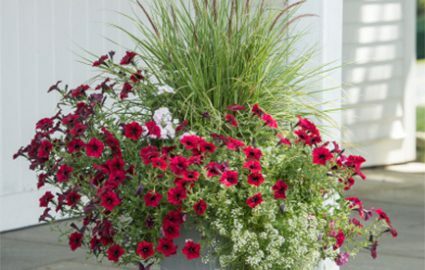 All are elegant in perennial borders, and shorter varieties may be successfully grown in pots. Many Lilies look lovely naturalizing in sweeps, and we offer several mixes ideal for this purpose. Plant Lilies in a cutting garden or in part of your vegetable garden so you can enjoy magnificent bouquets. A single stem in a vase makes a classic statement and Lilies also lend drama to mixed arrangements. Remove the stamens to avoid contact with the pollen (which can cause stubborn stains) and to prolong the life of the bloom. Thanks to modern storage facilities, most Lily bulbs are available to plant both in the spring and in the fall. Many Lilies prefer full sun but will flower in partial shade, which may help blooms to retain their color. Some of the species Lilies and their kin prefer afternoon shade, and require it in the hottest climates. Plant Lilies in well-drained fertilize soil; they will not survive in soils that are poorly drained, especially in winter. Use a layer of mulch to keep their roots cool in summer. Feed plants with a balanced fertilizer in early spring and then again just before they start blooming. Ensure that plants receive regular moisture, especially during drought. When all the flowers have passed, cut the stem directly below the blooms, so that as much foliage as possible is left to feed the bulb. Also, when cutting flowers for the house, keep the stems as short as possible for the same reason. Deadheading also makes the plants look neater and shortens the tall stems, so they are less likely to topple in a windstorm. After foliage dies back, cut stems off at ground level, or leave a few inches so you know where the bulbs are if you plan to do fall or spring planting around them.